This brew will get you moving in the morning, or is great as an afternoon pick me up. It contains no caffeine like stimulants, but works by improving circulation, and the elimination of toxins from the bloodstream. 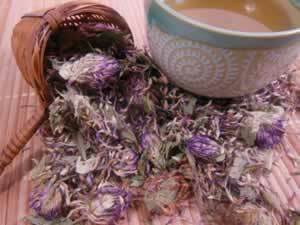 Recipe Instructions: Herbal Tea : Use 1 tablespoon of herbal blend to each cup of heated water. Infuse about 10 to 15 minutes, or until cool enough to drink. 2 to 3 cups a day., one or two days a week.